Based on the autobiography of WWII prisoner-of-war Eric Lomax, this moving and harrowing new film deals with the horrific torture inflicted on prisoners by the Japanese on the infamous Burma Railway. The set-up is cleverly orchestrated. 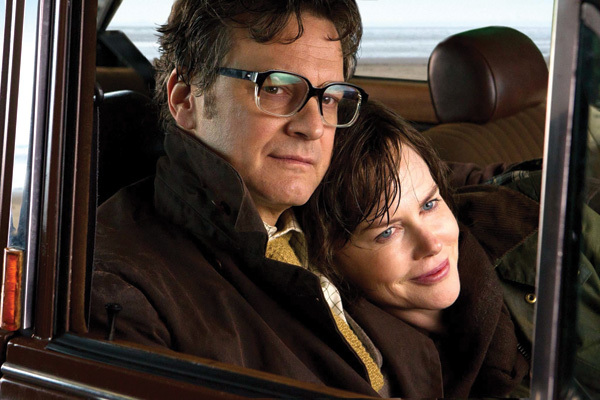 The film begins as if it is going to be a saccharine love story between the charming stranger Patti (Nicole Kidman) and the awkward middle-aged train enthusiast Eric Lomax (Colin Firth). They meet, fall in love, and marry, the lighting is yellow and dreamy, the music is romantic and full of promise. But with the simple closing of a rental van’s sliding door, Director Jonathan Teplitzky transports us to the heat and chaos of Singapore, 1942. From a series of short flashbacks, we gather that the young signals engineer Lomax has been captured by the Japanese and is being transported to the dreaded Burma Railway. 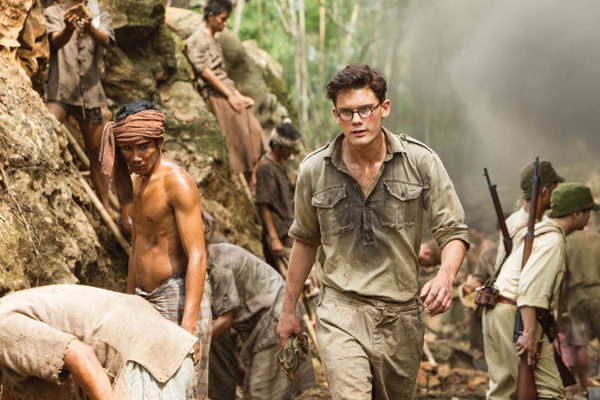 Brutally tortured and beaten following the discovery of a radio, the shy and nervous Lomax (played by a jittery and endearing Jeremy Irvine) displays courage and stoicism. The effects of this cruelty manifest themselves in the older Lomax in the form of anxiety, depression, night terrors, and hallucinations. The fairytale love story begins to crumble as he distances himself further and further from Patti, seeking refuge among other former PoWs harbouring similar secrets of degradation and suffering. In her desperate attempts to connect with Lomax and to understand his pain, Patti turns to his friend and fellow Burma survivor Finlay (Stellan Skarsgård). Cagey at first, Finlay reveals that Lomax’s chief tormentor is still alive and thriving, giving tours of the Burma Railway. Through this information, Lomax is given the chance to confront his past, to exact revenge, to put an end to his suffering. Skarsgård does an excellent job as the troubled friend and mentor, although it has been suggested that it was an odd casting. The film takes some time to arrive at this pivotal stage. Teplitzky’s build-up is slightly long-winded, so that by the time this crucial development is made, the subsequent action seems hurried and lacks the gritty realism that the rest of the film handles so well. This was a very moving film of redemption and love, given extra weight by the fact that it is based on Lomax’s actual experiences. The acting is first-class, the violent scenes are uncompromising, and the shots of skeletal prisoners working in the scorching heat under the truncheons of sadistic Japanese guards are frighteningly realistic. 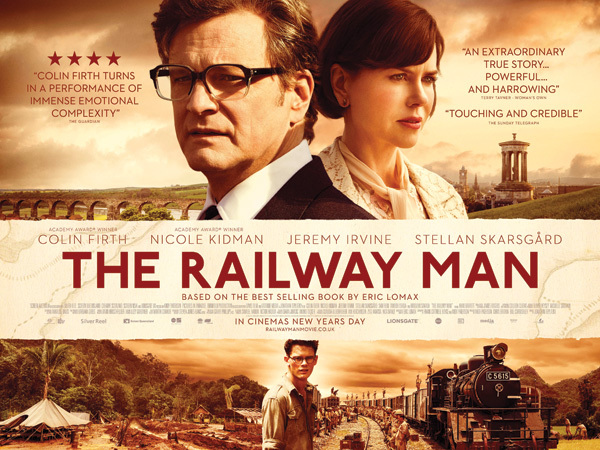 Although it is unlikely to reach war-classic status, The Railway Man is well-balanced film; not for the faint-hearted, but highly recommended.